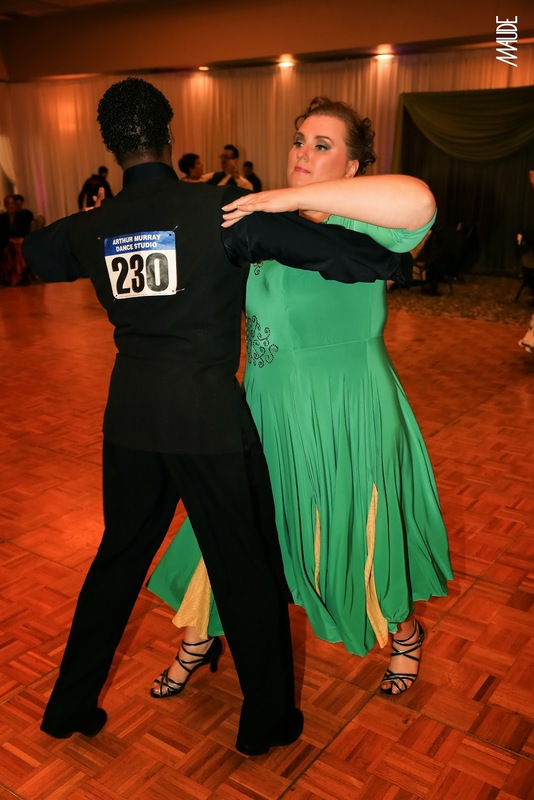 With one somewhat successful-ish dance dress under my belt, I set out to try again. 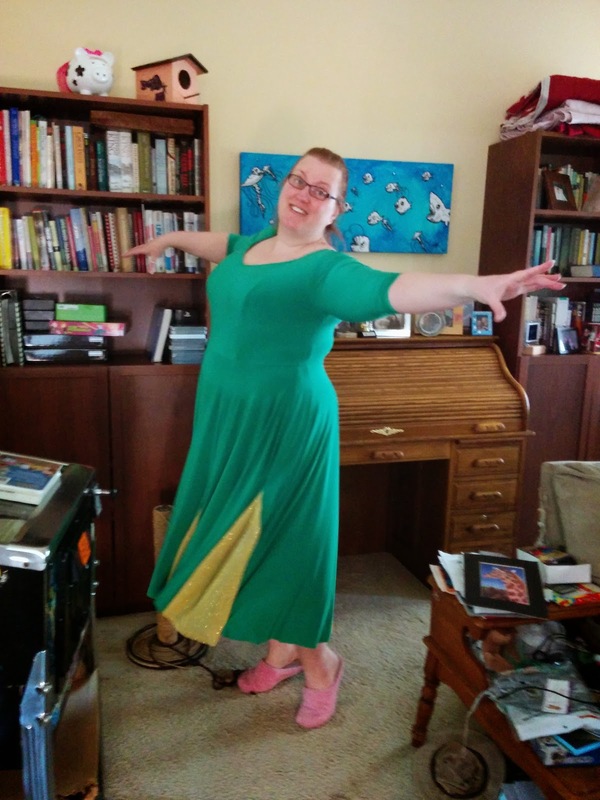 This time I used a ITY Spring Green Jersey Knit that I purchased from Fashion Fabrics Club. I liked the fit of the last dress I made pretty well, so I started with the pattern I had used with that and shortened it to be just the bodice again. I also cut the center front panel to create more of a sweetheart neckline. For the skirt, I don't really remember what I did, but it's a 6 panel skirt with the seams matching the princess seams of the front bodice. I decided that I wanted even a bit more swish to the skirt, so I added some godets in the seams. I went with this yellow glitter knit because it looked nice at JoAnn's (it was a last minute purchase) and it pulled in the yellow color from the rhinestones I had purchased to decorate this dress. Here's a photo of me modeling once the initial construction was complete. I had purchased 5 yards of the green fabric, not really knowing how much I was going to use. I believe that was the same amount I had purchased for my previous dress. I cut two bodices in the green and a third in a swimsuit lining to be next to my skin. 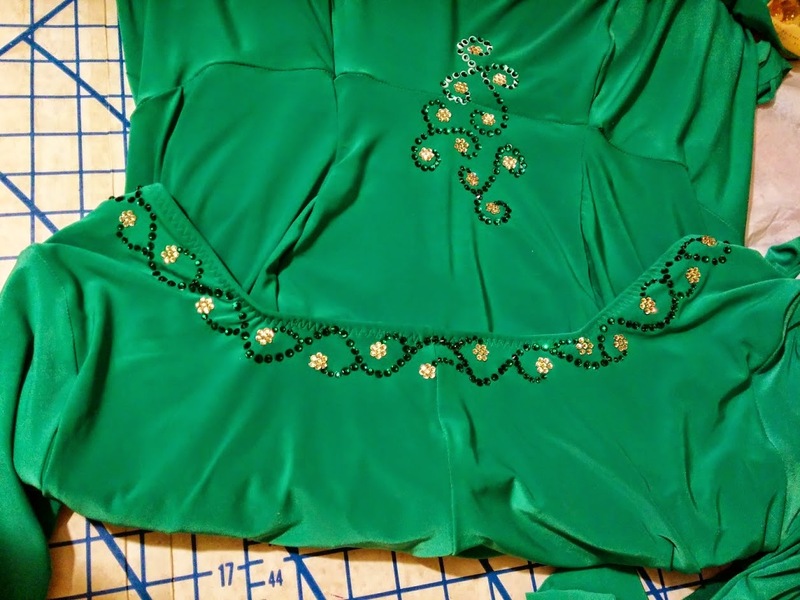 I assembled the outer bodice and used the swimsuit lining and the other green pieces together, with the swimsuit lining being the "right" side of the construction. 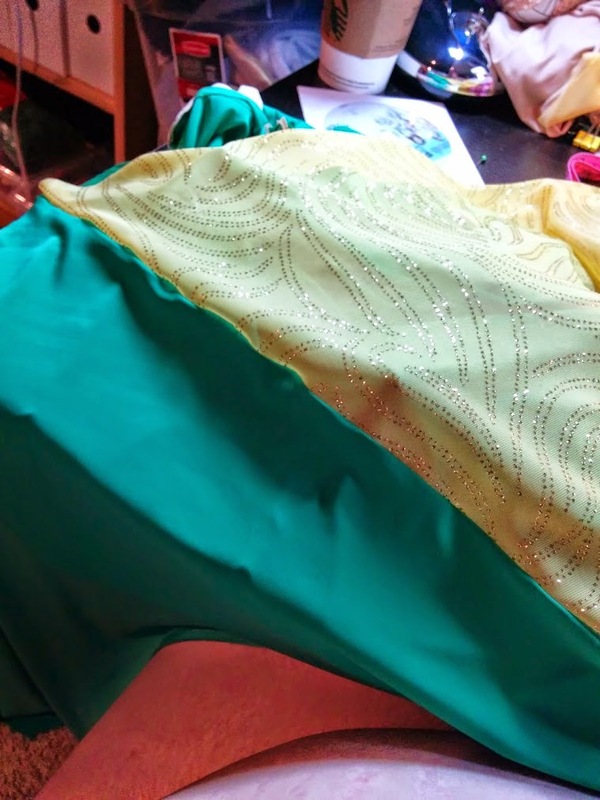 So when I joined the two bodices together, all the seams were hidden between the layers of fabric. I sewed everything together at the neckline and sewed elastic to the inner most layer with a 3 step zigzag stitch (I learned my lesson from the last version!) Then folded it all over to the inside and zigzagged it again to have a clean edge. The bottom end of the inner bodice was left hanging. 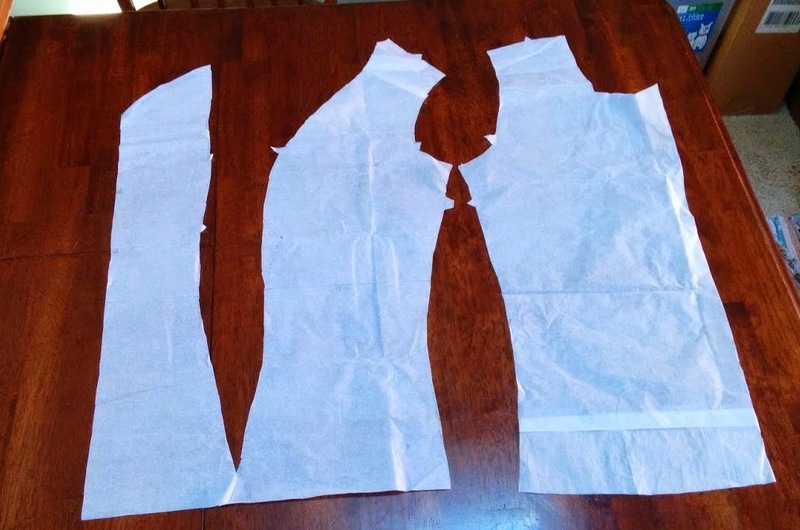 I had thought I would end up adding a second layer of skirts to create an underdress, like Laura La Gassa shows in her step by step gown construction post, but I haven't done that (yet?) I also figured I could sew in some swimsuit bottoms to finish off an inner leotard, but I also haven't done that yet either. Although I planned this dress for a while and purchased most of the materials early, I had to rush it at the end so that I could do at least a little decorating before I wore it. 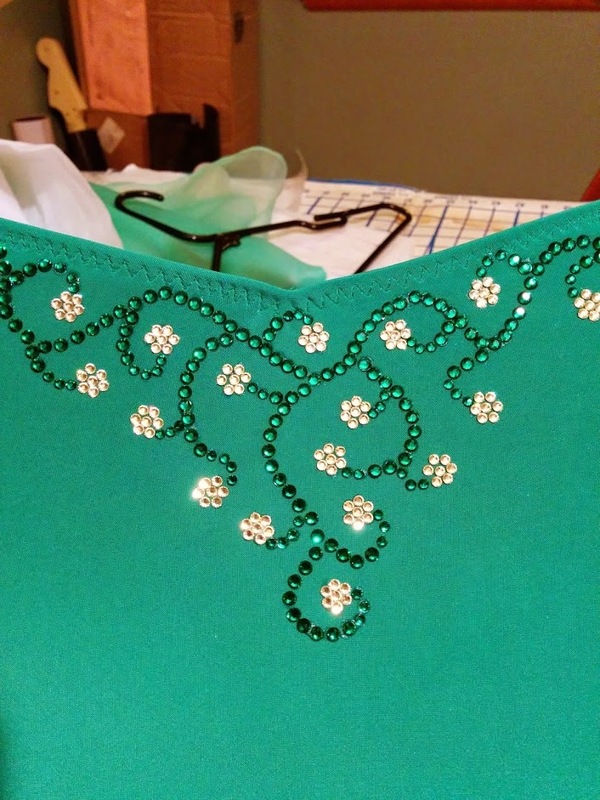 I added a flowering vine-like pattern around the entire neckline, with a little more detail in the center front. 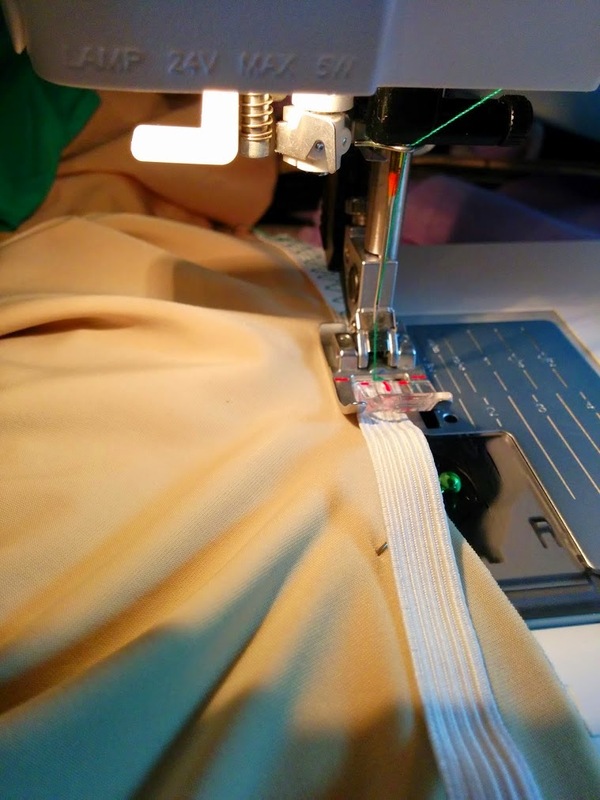 I also started on a waist design, as you can see in the photo above. But attaching all those rhinestones is very time consuming, so after several evenings working on it, I ended up needing to stop to let everything dry and cure in time for my competition. So I just have a strange blob of rhinestones on the front of my waist. Here are a couple photos from the competition last year when I first wore it. 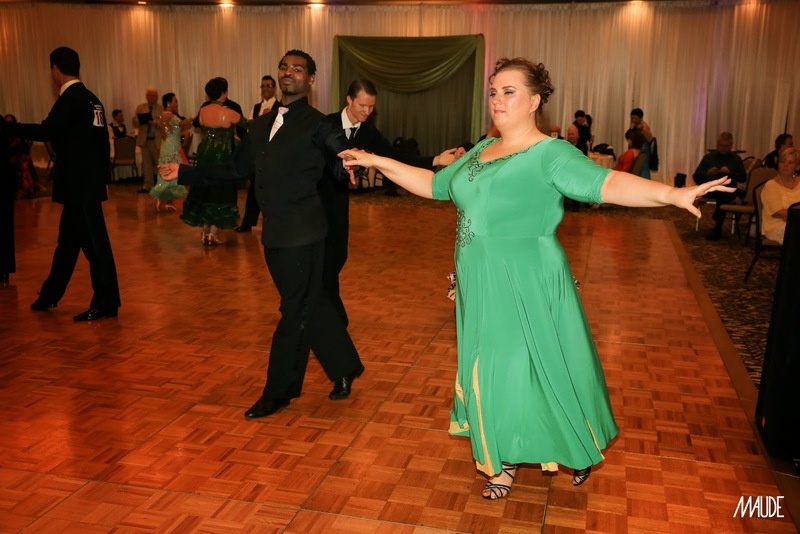 And here is a video of my foxtrot solo where you can see how it moves. I wore this dress again a few times since then, including to another competition a couple weeks ago, but I've modified it quite a bit, so more to come on that soon!